My mood has improved significantly since my last post. A couple of wins and unexpected ones at that often have that effect. Enough has been written about those victories over Wednesday and Brum that I have nothing of value to add ( as usual I hear you cry ! ). 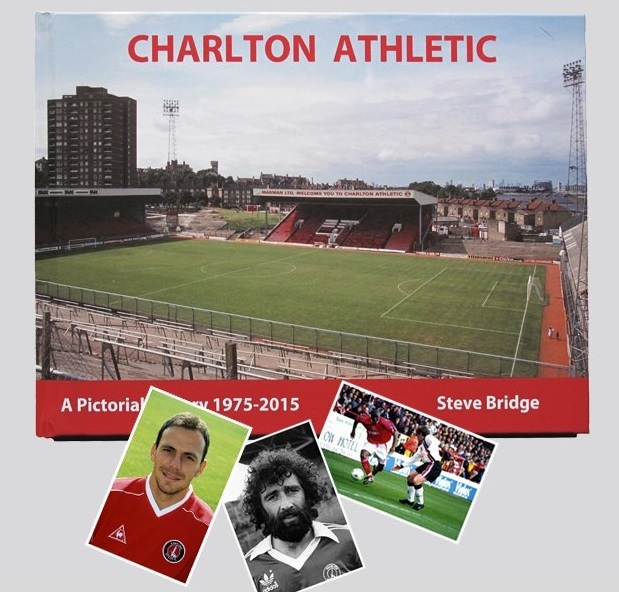 It’s not just those results that have brought an upturn in my outlook and like a couple of other bloggers I would draw your attention, if it hasn’t already been drawn, to Steve Bridges’ rather splendid book, Charlton In Pictures 1975-2015. My order was delivered on Friday and upon arriving home I couldn’t resist a quick browse…..well, by quick I mean 30 to 40 minutes ! The book contains some lovely photos from the last 40 years and will no doubt stir a lot of memories and overwhelmingly good ones at that ! It has the advantage also of being one of those books that you can pick up every now and then to have a quick read. Steve has now secured enough orders / interest to be able to authorise another print run so further copies will now be available. I’m sure you won’t be disappointed. Again as others have said the book will make a decent Christmas present for any Addick. If you check out Steve’s website ( there’s a link on Wyn Grant’s blog ) you'll find full details and you can also order copies of the photos should you wish.